Martina Dalton, Project Manager for Mental Health Crisis Care, reflects on the on-going work Healthy London Partnership with South London and Maudsley (SLaM) NHS Foundation Trust have been doing with London’s police forces and ambulance service to improve the care for people in mental health crisis. She writes here about a recent visit to SLaM’s centralised health based ‘place of safety’. Since 2015, London’s crisis care system has been working to improve the quality and consistency of care for people in mental health crisis. Partnership working with London’s police forces has been key to many of the successes of this programme so far; this includes the development of London’s section 136 guidance and Health Based Place of Safety specification launched by the Mayor of London in December 2016, and a Health Services Journal Patient Safety Award for a handover process for people attending A&E voluntarily with the police. Section 136 (s136) is part of the Mental Health Act. Police can use this section if they think an individual has a mental illness, and they need ‘care or control’. They can use s136 to take that individual to a place of safety for an assessment under the Mental Health Act completed by a doctor and social worker where an assessment of the patient’s needs takes place, as well as working out the best next steps. In 2017, Her Majesty’s Inspectorate of Constabulary and Fire & Rescue Services (HMICFRS) – responsible for independently assessing the effectiveness and efficiency of police, fire and rescue services – inspected all 44 police forces in England and Wales on their effectiveness. For the first time, these inspections included looking at how effectively police respond to and support people with mental health problems. Comparatively, the role HMICFRS plays is similar to that of the Care Quality Commission (CQC) in healthcare settings. In late 2018, HMIFCRS published a report on their findings: Policing and Mental Health: Picking up the pieces. The report identified improvements that police forces could make in training and building a clearer understanding of mental health demand on policing. However, the report also concluded that there must be a longer-term solution, involving all public services, in order to provide people with mental health problems with the expert care and support they need. South London and Maudsley’s (SLaM) centralised place of safety, which piloted the London’s s136 new model of care, is a great example of how service users and carers are working in partnership to improve the care and provision for people in mental health crisis. So much so, Zoe Billingham, HM Inspector of Constabulary, recently visited SLaM to see first-hand how the police are working closely with other organisations to try to improve their joint understanding of mental health and how it’s helping to develop a more strategic approach to working together. Zoe spent the morning hearing from service users closely involved in designing and evaluating the unit, police and place of safety staff about the difference the centralised place of safety has made to people in mental health crisis, and those involved in their care, since it opened in 2017. Healthy London Partnership and the Metropolitan Police’s central mental health team lead, Inspector Elaina Usher, also had the opportunity to present London’s crisis care partnership work. We also updated Zoe on the new s136 pan-London model of care, which SLaM has piloted and includes 24/7 dedicated staffing at SLaM’s centralised Health Based Place of Safety (HBPoS). Implementation of London’s s136 model of care is progressing across London’s Sustainability and Transformation Partnerships (STPs). SLaM is a great example of the impact a dedicated staff team of nurses and doctors can have, specifically more effective and efficient assessments that cater to the patient’s needs. An evaluation of the service has shown a reduction in inpatient admissions, quicker handovers between services and improved patient and staff experience, it has also shown what is possible when key agencies, organisations and people work together. For more information on London’s mental health crisis care programme and the pan-London new model of care and for more information on the impact of SLaM’s centralised place of safety, read the latest evaluation. Dr Martina Dalton is currently the project manager for Healthy London Partnership’s Crisis Care Programme and is currently on secondment for two days a week to Lambeth Together working with the Local Care Networks project team on neighbourhood based care. 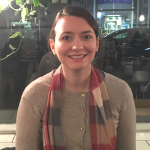 Prior to joining Healthy London Partnership, Martina was a Darzi Fellow at Islington Clinical Commissioning Group, looking at the inappropriate use of psychotropic medication in learning disabilities. Martina previously worked for several years as a doctor in secondary care in a range of specialities, and has also worked in a hospice. SLaM opened a centralised Health Based Place of Safety (HBPoS) in January 2017. The new model of care, replaced four single occupancy HBPoS sites in Lambeth, Lewisham, Croydon and Southwark with one centralised HBPoS based at the Maudsley hospital. This was developed in response to the need to improve the accessibility and quality of care provided to individuals detained under section 136 (s136) of the Mental Health Act. The old four sites were in very poor condition and staff were pulled off inpatient wards to cover the service. The new centralised HBPoS site is a bespoke facility with six assessment spaces providing a range of accommodation options and a 24/7, specialist, and dedicated service. Feedback from service users has been largely positive with 74% reporting being treated with respect and dignity by staff and 72% feeling safe in the HBPoS.